RubberForm’s high quality Rooftop Walkway Rubber Mats are made from a durable masticated rubber compound which ensures maximum protection for valuable EPDM and PVC roofing membrane surfaces. No more punctures or abrasions, no more leaking in light mechanical and heavy traffic areas. It’s ideal around and under roof-mounted machinery. 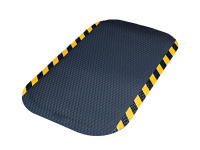 Year after year, RubberForm’s proven anti-slip safety design ensures positive traction in all weather conditions. 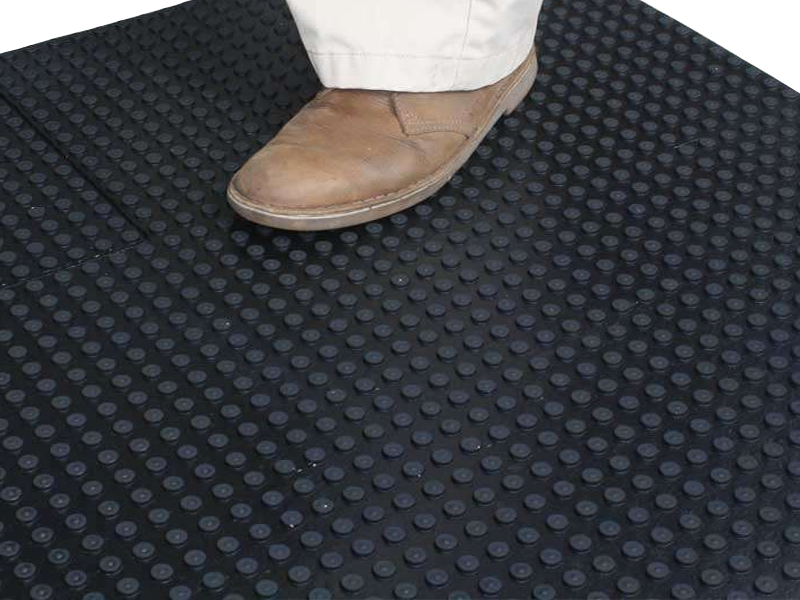 RubberForm’s Roof Walkway Mats are quickly and easily installed, and are firmly adhered with compatible EPDM or PVC roofing adhesives. 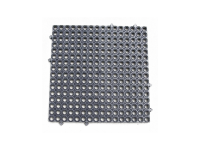 Mats are available in the standard 30” x 30” x 5/16” size and are easy to handle, light weight and have a modular size that makes them more adaptable. 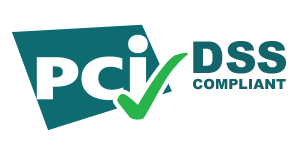 The innovative radius corners eliminate lift points and reduce the risk of tripping. RubberForm’s Rooftop Walkway Rubber Mats are manufactured using a proprietary masticated rubber which can be firmly adhered with compatible commercial roofing adhasives. 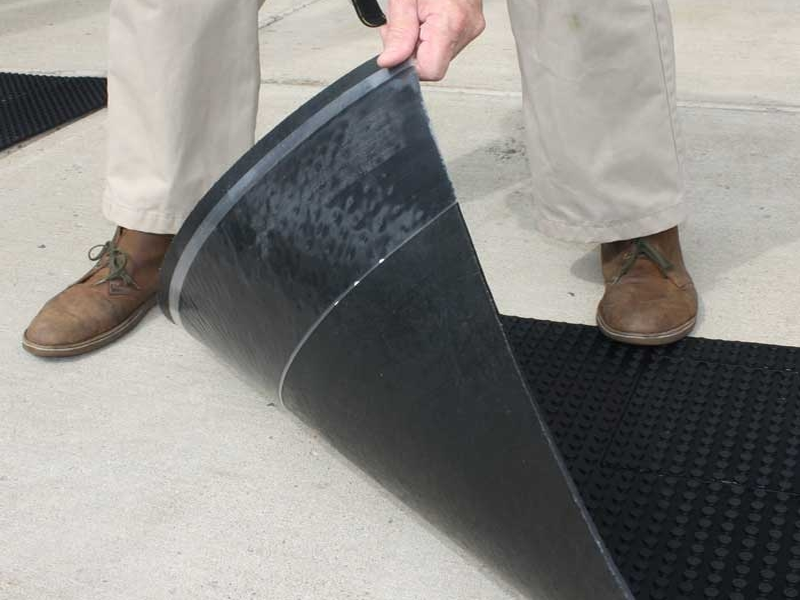 For even easier installation, RubberForm’s Rooftop Walkway Mats are available with a specialized PSA tape for simple peel (with and without adhasive strips) and stick installation.